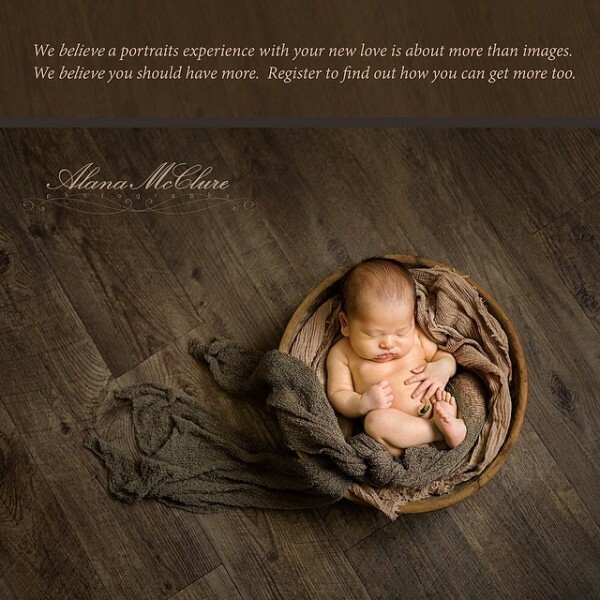 Simple, elegant and intimate images that move, touch and inspire are the basis for your newborn photographs with Alana McClure Photography. Your newborn photography session will be full of special moments and memories that you will forever cherish. Newborns are best photographed between 5-10 days of age, so we strongly advise that you book your photography session while you are pregnant. This allows us to meet well ahead of baby’s arrival to discuss colours and styling to ensure a fully customized experience and unique images of your newborn baby. If your baby has already arrived and you have not yet booked, please contact Alana directly to discuss arrangements as soon as possible. Once your baby passes the 14-day mark, they stretch out more and are more alert making it more difficult to create some of the beautiful curly newborn poses you may have your heart set on. Known for her meticulous planning, Alana carefully considers the unique styling of your session to ensure that the pieces fit perfectly with your home, and your family. 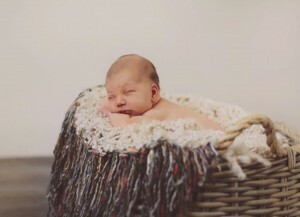 Alana’s ten years of experience makes her highly skilled in posing newborn babies and her studio offers a beautiful collection of handmade ‘nests’, blankets, wraps and textured props to use during the session. You are also most welcome to bring your own special items from home to feature in the images. Our Newborn Studio Experience is slow and intimate lasting 2-3 hours. The environment is perfectly created for you and your newborn and we encourage you to sit back, relax and enjoy our time together while we create those special images of your newborn. There is nothing more precious than seeing a brother or sister looking on in amazement at their new baby brother of sister. If you have older children or other family members that you would like involved in your newborn photography session, please let Alana know during your consultation so she can tailor your session accordingly. “We are so grateful for the early but safe arrival of our precious baby boy and couldn’t be happier to have Alana capture these unforgettable memories of our family. We will cherish these beautiful images forever, she really is the baby whisperer”. Choosing the right photographer is highly important to ensure your end finished product is to your expectations. We encourage you to contact us with any questions you have and invite you to view our Newborn Portfolio and Newborn Client Showcase to view our latest work. If your baby has already arrived, please contact Alana today on 416-938-0636 to discuss immediate arrangements. During our initial call we’ll answer any questions you may have and schedule your complimentary in-home Design Consultation to discuss your personal style preferences before reserving the best possible date for your Portrait Experience.